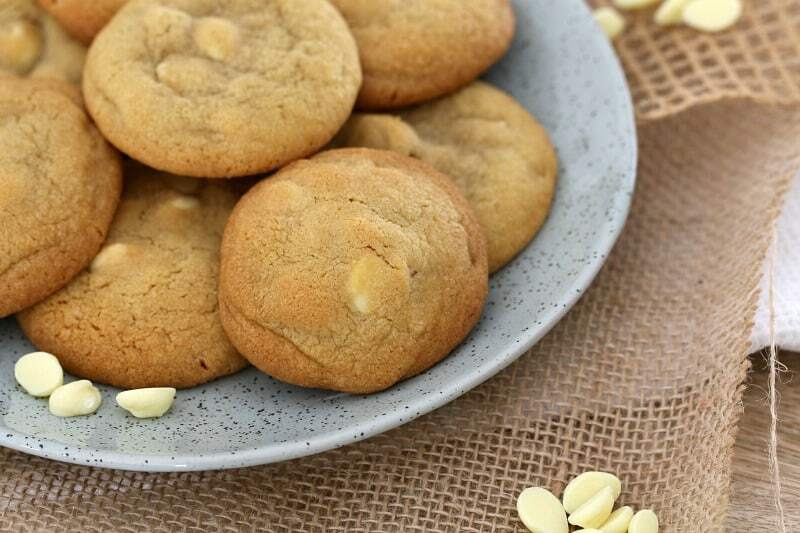 Wait until you try these classic White Chocolate & Macadamia Cookies… they’re totally irresistible! Try stopping at just one (it’s impossible!!). 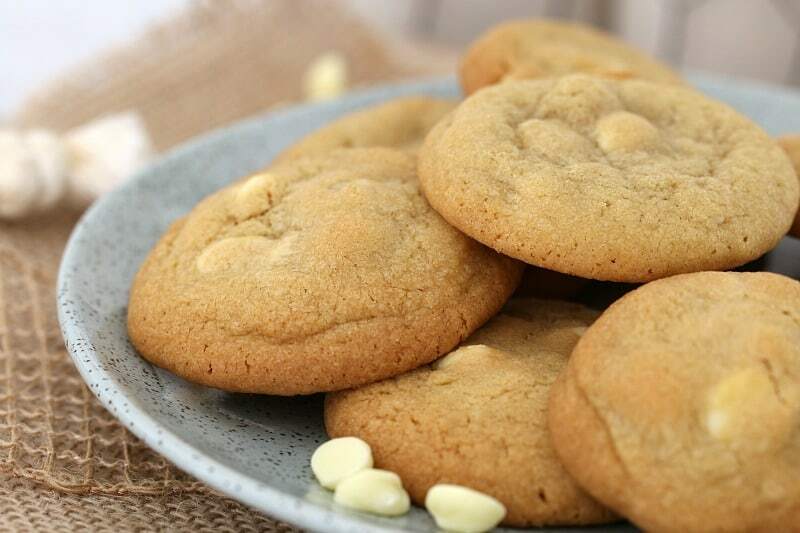 White chocolate & macadamia cookies would have to be up there as one of my favourite things in the world. Mind you, I’m not really all that fussy when it comes to cookies. 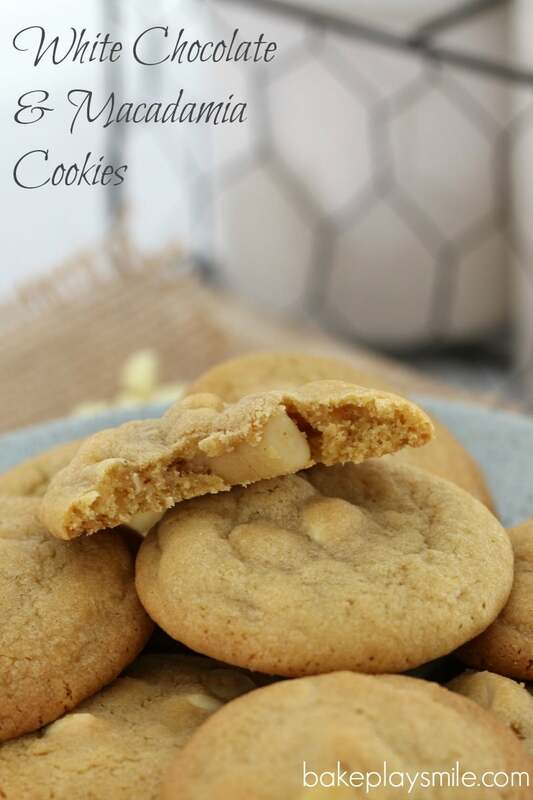 As long as they’re delicious, easy and sooooooo good, I’m in! And these little bites of heaven are all of those things. Seriously good… that’s what they are! 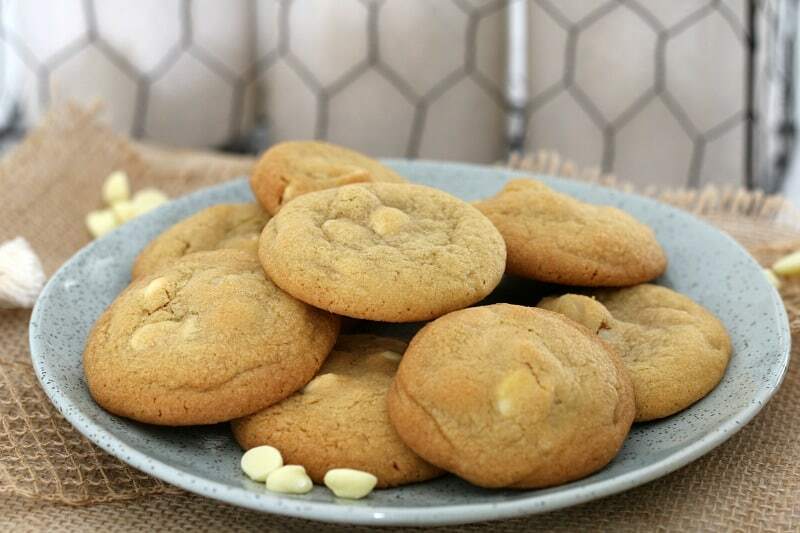 These White Chocolate & Macadamia Cookies are based on a really simple cookie dough recipe. It’s totally fool-proof. 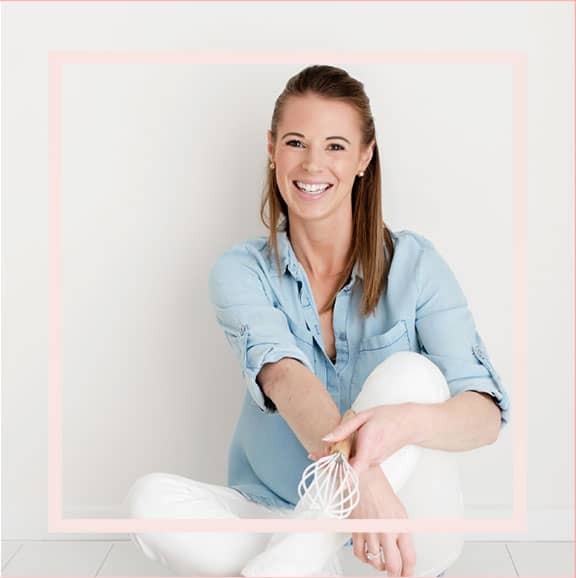 Plus, you’ll end up with perfectly ‘crispy on the outside’ and ‘soft on the inside’ bikkies… which is definitely the way to go! I like to leave my macadamias pretty chunky, but you can chop them as roughly or as finely as you like (I just halve them). And then it’s just a matter of adding in the yummy little white chocolate chips. 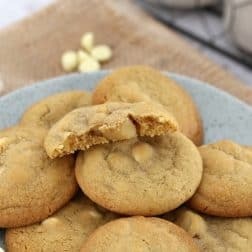 If I’m being honest, I usually add a few extra than what the recipe says… but that’s just because I know that I’ll eat a whole heap while I’m rolling the dough into balls (yes, yes, I’m a terrible person – I just LOVE eating cookie dough!). 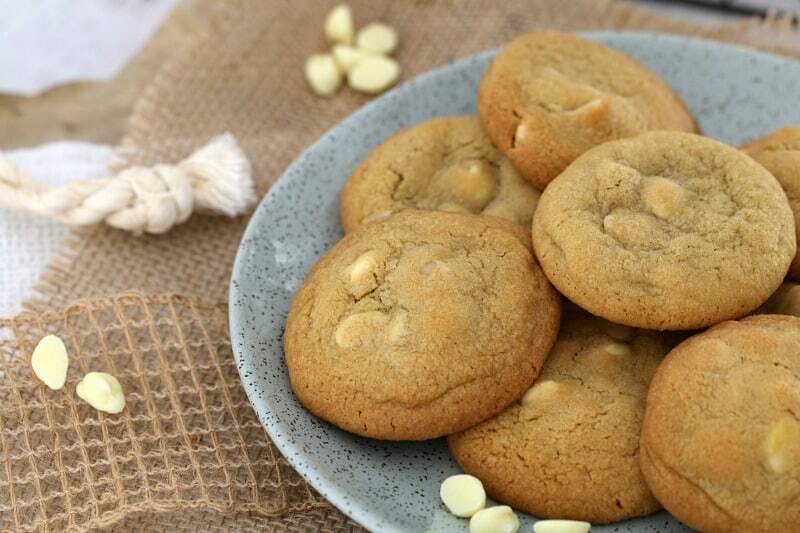 Wait until you try these classic White Chocolate & Macadamia Cookies... they're totally irresistible! Try stopping at just one (it's impossible!!). Line two large baking trays with greaseproof paper and set aside. In a large bowl, beat the softened butter, caster sugar and brown sugar until pale and creamy. Add the egg and vanilla extract and continue to beat until well combined. Sift the bi-carb soda and plain flour over the top of the mixture and fold through. Add the white chocolate chips and the chopped macadamia nuts and stir through. Place the dough into the fridge for 15 minutes (optional). Roll into heaped teaspoon sized balls and place onto the prepared trays (leave a gap between each cookie to allow for spreading). Cook for 8-10 minutes or until just lightly golden. Allow to cool slightly on the baking trays before transferring to a wire rack to cool completely. 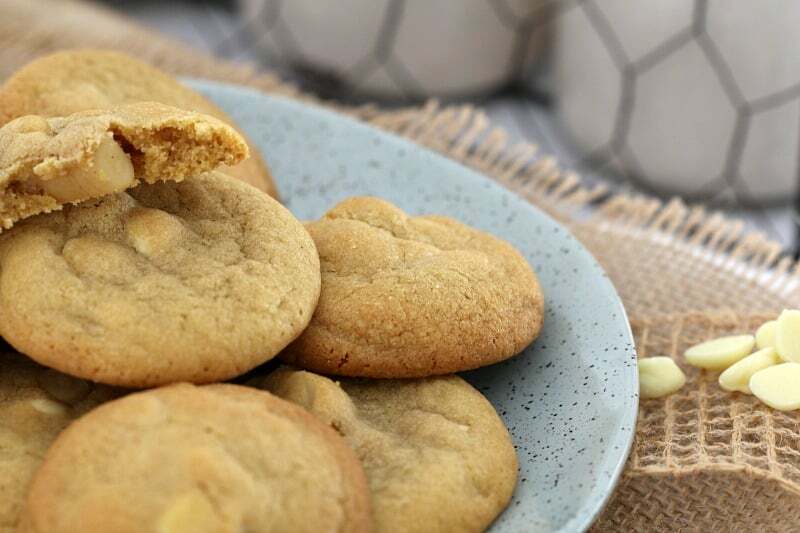 Wait until you try these classic Thermomix White Chocolate & Macadamia Cookies... they're totally irresistible! Try stopping at just one (it's impossible!!). Place the softened butter, caster sugar and brown sugar into the Thermomix bowl (with the butterfly inserted). Mix on Speed 4 for 20 seconds. Scrape down the sides of the bowl and mix for a further 40 30 seconds, Speed 6 (or until pale and creamy). Reduce to Speed 2 and with the butterfly still turning, add the egg and vanilla extract through the MC hole. Increase to Speed 4 for 20 seconds. Add the salt, bi-carb soda and plain flour to the bowl. Mix on Speed 4, 10 seconds. Scrape down the sides of the bowl and repeat for a further 10 seconds. 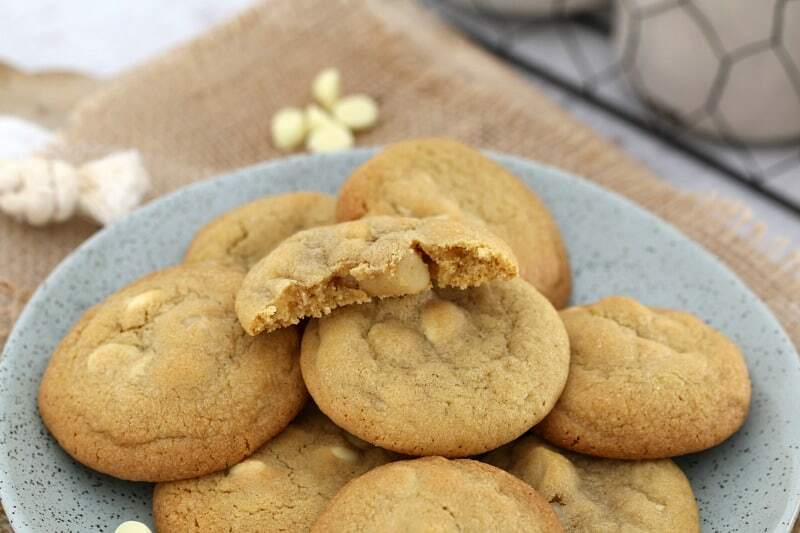 Fold the white chocolate chips and the chopped macadamia nuts through with the spatula.